Deputy offers a number of plans in different tiers. 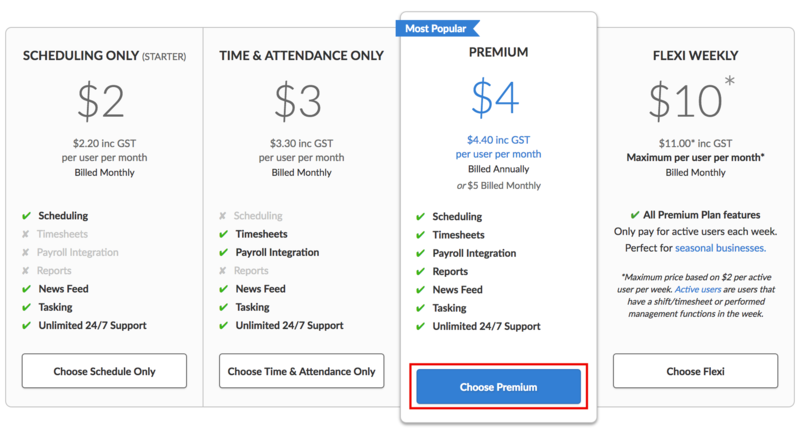 This guide will walk you through the steps to switch to our Annual Pricing option. 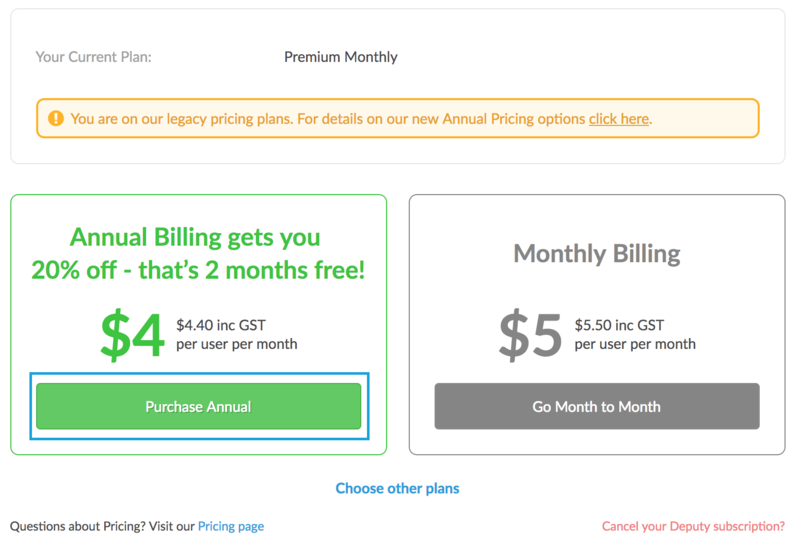 To switch your plan to Annual Pricing, log into your account at once.deputy.com and click 'Settings' on the business you would like to switch. 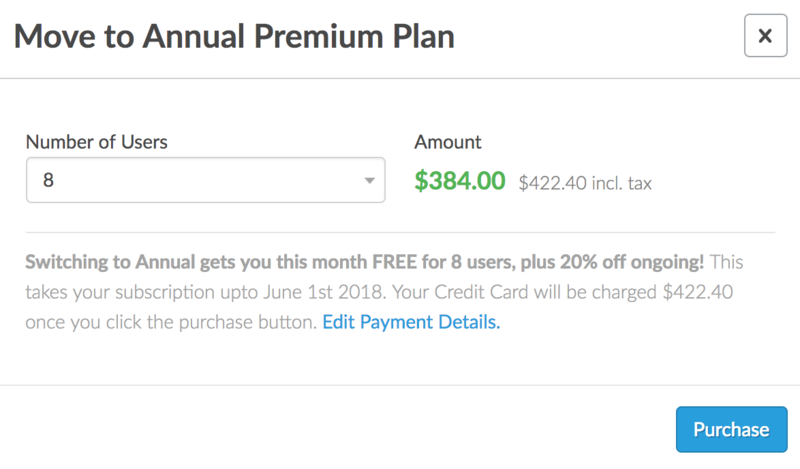 Now click on the 'Plan' tab and click 'Choose Premium'. In the next pop-up, you will be able to select the number of licenses you would like to purchase. This will assume accurate employee forecasting. Adding extra licenses will be explained below. After clicking 'Purchase', you will be charged immediately. To purchase additional Deputy licenses, click 'Settings' in once.deputy.com on the appropriate business, then click the 'Plan' tab. The following screen will display information about your current pricing plan, including the current number of licenses that you possess. 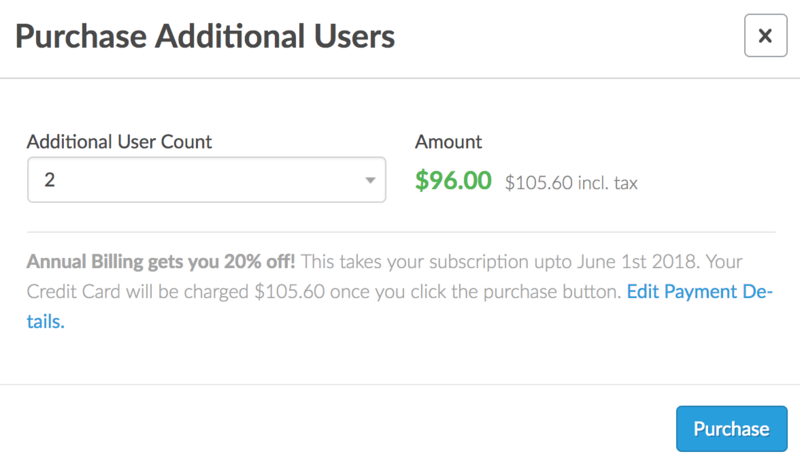 Click 'Purchase Additional Users'. In the pop-up, select the number of additional licenses that you would like to purchase. Please note that additional licenses will be charged at the monthly rate. In the example image below, we are adding an additional TWO users to our Deputy installation. Click 'Purchase' when you are satisfied with your changes. When you return to the 'Settings' > 'Plan' tab, you can see information about your information, including the number of users in your installation, and the number of licenses purchased.